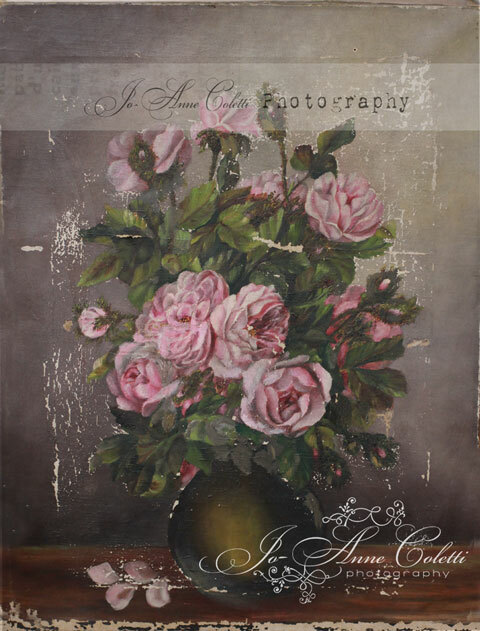 This is a reproduction gallery wrapped canvas print taken from my own collection of old rose paintings. I purchased this many years ago at an auction in Rhode Island. It was said to be taken out of one of the mansions. This dates around the 1800s. This looks amazingly like the original with the old peeling paint, scratches and patina that we love so much. The background is a muted brown, olive green, and taupe with beautiful pink roses. You won't be disappointed in the quality, it's superb! Canvas prints are lovely as is, no need for a frame. Measures- 16x20. Enjoy!